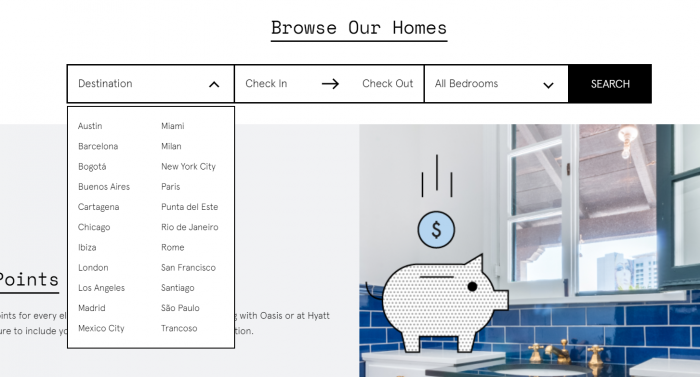 Hyatt became investor in Oasis Collection (home rental platform) last year and intend at the time was to bring it under the loyalty program. Now, Wold of Hyatt members can earn points and elite qualifying nights for their Oasis Collection rentals and use 15,000 points for $200 Oasis credit (terrible value). There is a promotion for 1,000 bonus points per night for stays between March 1 – June 30, 2018. You can access Oasis page for Hyatt members here and Hyatt’s page for Oasis here. These home rentals make sense if you are looking for accommodations for a family or group of friends when hotels basically price themselves out. This Oasis Collection locations where they have presence at the moment are just weird. Quite a few locations in Latin America but the entire Asia missing.